The great hunt begins! 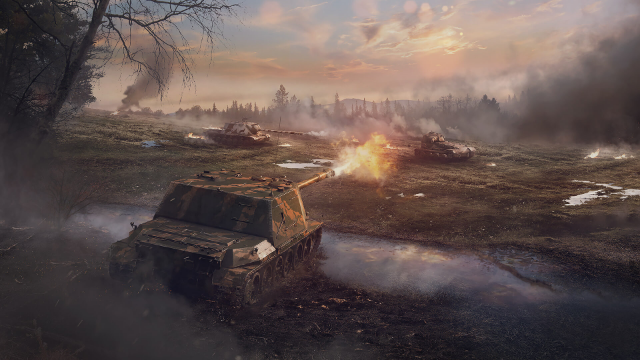 These Chinese tank destroyers are warming up their engines and loading their guns in anticipation of taking to the Blitz battlefield! As soon as Update 5.8 goes live, prepare yourself: these vehicles show no mercy! Great some more content.. Any chance you could sell the tier discount certificates in the shop or do another event with them? I doubt selling certificates. Event with such prizes is more real. Update is coming, server will be down on 21 February from 2:30 (UTC+8) to 8:00 (UTC+8). If we need extra time for testing, the server may be unavailable for longer. Liking the new stat details on the portal. Anybody else missing Mastery Badges that had previously been earned, since the latest update I now have 3 tanks without them? No, the policy is the same for every region.